Any idea who this little fellow is? Should I be worried? Thanks! They sound more or less beneficial. Will go after aphids and so on. Mine go after white fly. If you watch them for a few minutes, you can usually see what they're going after. 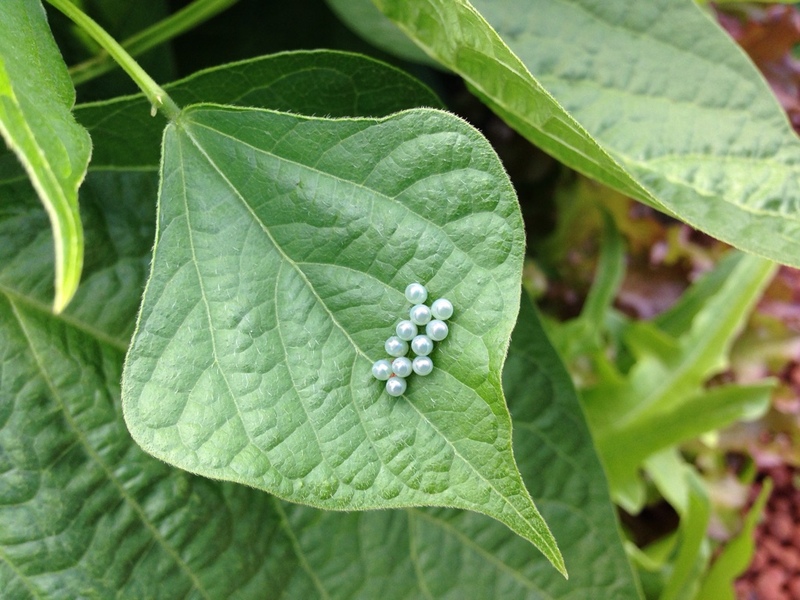 Any ideas on these eggs growing on a bean leaf? 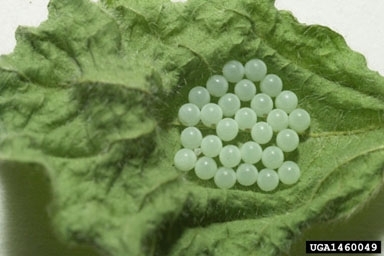 After a bit of googling I thought possibly crusader bug eggs? Have done some more research and apparently we don't have brown marmorated stink bugs in Australia. 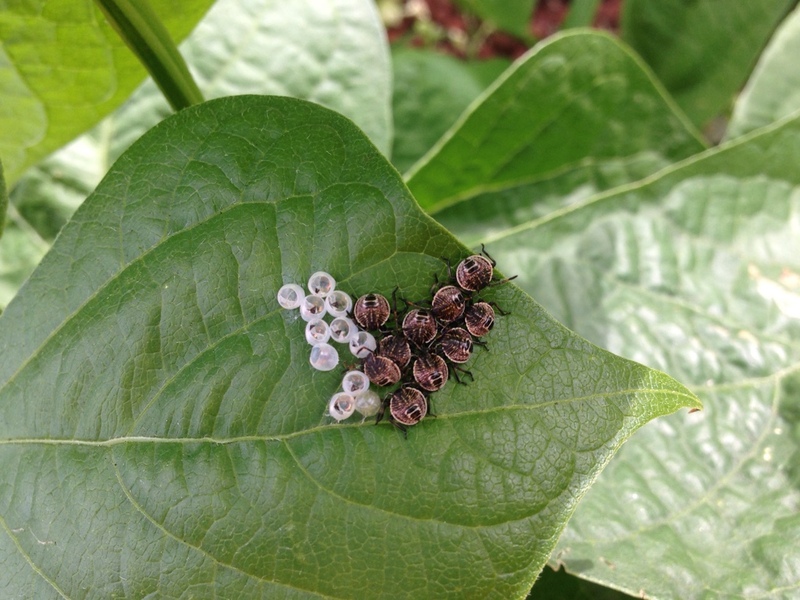 I think these are more likely to be brown shield bugs. Lady bugs will solve your problem very quickly. If you're talking about the black spots, it's hard to tell but I think they are frass (excrement). Probably from the caterpillar. That's a caterpillar and caterpillar poo all right! Pick off or squash as many as you can to keep ahead of them while you get the Dipel going.